Pennies HEART from phos pictures on Vimeo. This is one of the reasons so many of us do what we do... We share our stories about Kari, Sam, Chase, Jay, Chloe and so many others because there are people like Pennie who need something that the rest of us often take for granted. Can you imagine being in the shoes of Pennie's Mom & Dad? Can you imagine waiting and wondering whether your precious child will have the chance to live a normal life? Or maybe just live at all... Can you imagine watching a smile as joyful and bubbly - a flame as bright as Pennie's - flickering and going out forever? This beautiful, little video ends happily - but there is something we're not seeing at the end that so many of us know about, and think about. Someone, somewhere is dealing with the tragedy of losing their precious child whose beautiful heart is now beating in Pennie's chest. Some family, facing the devastation of losing a child, had the strength and compassion, and the pure goodness to step away from that pain for a moment and think about others in the world who they might help. In the same way that I think about Kari, Melissa thinks about Chloe, Terry thinks about Chase, Julie thinks about Jay, and tissue recipients think about Sam - Pennie's Mom & Dad will think about the donor and family who saved their daughter, probably every single day. Have you seen Repo Men? So, I saw a preview the other day for Repo Men and had to check it out. Needless to say the reviews weren't too enthusiastic, but I may try to catch it when it comes out on RedBox! In the futuristic action-thriller Repo Men, humans have extended and improved our lives through highly sophisticated and expensive mechanical organs created by a company called The Union. The dark side of these medical breathroughs is that if you don't pay your bill, the union sends its highly skilled Repo Men to take back its property...with no concern for your comfort or survival. We must now decide if buying more time on earth is worth the deadly cost. Jude Law plays Remy, one of the best organ Repo Men in the business. But when he suffers a cardiac failure on the job, he awakens to find himself fitted with the company's top-of-the-line heart-replacement as well as a hefty debt. But a side effect of the procedure is that his hearts no longer in the job. When he can't make the payments, The Union sends its toughest enforcer, Remy's former partner Jake (Academy Award Winner Forest Whitaker), to track him down. Now that the hunter has become the hunted, Remy joins Beth (Alice Braga), another debtor who teaches him how to vanish from the system. And as he and Jake embark on a chase across a landscape populated by maniacal friends and foes, one man will become a reluctant champion for thousands on the run. It looks a little gory, but so was Braveheart and I loved that movie (maybe cause I had a small crush on Mel Gibson?!). I'm not really quite sure what my thoughts are on the plot. I really hope that someday organ donation is made more readily available to recipients, but maybe because of education and donor awareness program...not necessarily because of machines. I guess I'm like Steve, and I like the human aspect of organ/tissue donation. Don't get me wrong, I hope that if there was a way to help all 107,232 (as of 11:35PST today) individuals on the UNOS waiting list that we would implement ASAP! Yet, this movie trailer didn't give me the warm fuzzies! I chatted with Steve about the movie! We talked about how this movie has possibly offended many organ/tissue donor advocates, but it's just a movie, right?! We discussed how the concept was entertaining, but as of now just that. We both believe that the current process of organ/tissue donation is AMAZING but more education is needed...and maybe someday mechanical organs will arise, but for now it is essential that we need educate the public about the importance of organ/tissue donation! So, what do you do?! Click her to find out! If you've seen Repo Men, please comment as we'd love to hear from you! She was an amazing girl, and they are a truly beautiful family... I don't have anything else to say. I hope it leaves you speechless too. What’s your definition of a hero? Some of us think about that every single day. Some of us see a face, and a smile, and family and friends who surrounded them. We know our definition of a hero. For some of us – our definition of hero also includes people who put together thoughts, or words, or videos that tug at our hearts, and help others understand something very special and meaningful to us, like what organ donation does for others. And we saw a few incredible shows that are coming out in the near future. One is a new television series titled “Three Rivers” that looks to be amazing. It takes place, naturally, in Pittsburgh – but the title is also a metaphor in organ donation and transplant for the intersection of the donor and donor family, the transplant team, and the recipient and their family and scenes from the first episode look truly amazing. And, there is a movie that will hopefully come out this fall – maybe around Thanksgiving and football season – titled “The 5th Quarter.” A big part of the story revolves around organ donation, and the most successful season in the Wake Forest Demon Deacon school history. I can’t wait to see the movie because I’ll never forget the 20 minutes we saw! But – I’m not writing now because I’m tired. However – I will leave you with a link to a post from the “Donate Life Organ & Tissue Weblog” posted by Glenn Matsuki from One Legacy in California. (We have to link to this very cool blog at Revive Hope one of these days soon!) Glenn posted a little slide show and a letter from Sam Jones III – he plays “Chaz Pratt” on E.R. – Laura got to shake his hand – I got to hug him… He wrote a wonderful letter about his feelings about being a part of the Donate Life Hollywood awards dinner… Here is Glenn’s post and Sam Jones III’ letter. I promise I’ll post more about this soon! CHICAGO, June 8, 2009 – Chicago native Steve Ferkau, a double lung transplant recipient, will be walking the red carpet in Hollywood this week at the inaugural Donate Life Hollywood Film Festival. Ferkau recently starred in an online short film, “The Circle of Life”, which placed second in the Festival’s “online shorts” category. The Donate Life Film Festival debuts Saturday, June 13, at the Directors Guild in Los Angeles, featuring inspiring stories of lives saved through organ donation in television and film, with informative and entertaining panels of screenwriters and surgeons. Steve’s video celebrates not only his life but also the life of his organ donor, Kari. The video was filmed in Chicago and features Steve telling the story of his transplant experience at various locations including Millennium Park and the John Hancock Center, a particularly meaningful place since Steve and close friends of Kari participate in the “Hustle Up The Hancock” each year in remembrance of Kari. The video was produced by Donate Life Illinois, the statewide coalition of organ and tissue procurement organizations responsible for donor education and registration outreach. Recent research by Dr. Susan Morgan at Purdue University provides evidence that inaccurate storylines about organ donation keep people from registering as donors. With over 102,000 people currently waiting for a life-saving organ transplant and 18 people dying every day because of a shortage of donated organs, these storylines could literally be costing lives. In Illinois, residents can help those currently waiting for a life-saving organ transplant by joining the Illinois organ/tissue donor registry. Just one person can save the lives of more than 25 people through organ and tissue donation. 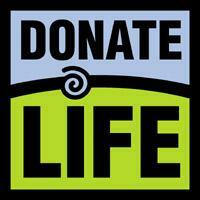 Illinois residents can visit www.DonateLifeIllinois.org to join the state’s donor registry. Doctors, transplant recipients, donor families, living donors and many from the Hollywood film community will be in attendance at the Festival. “Many people in the entertainment industry have been touched by donation and have come full circle by using their personal experience as a wellspring for their work,” said Wallace. Among the honorees will be “Seven Pounds,” released last year starring Will Smith and Rosario Dawson, for “Outstanding Portrayal of Organ and Tissue Donation in a Motion Picture.” “Seven Pounds” is the first feature film to show the real-life pain for those waiting for a transplant and the profound joy of receiving the gift of life and sight. "Decision to Donate” – the story of one man’s battle with chronic kidney disease and his friend’s selfless decision to help by donating one of his kidneys. Produced and directed by the donor’s son, this film chronicles this life-changing journey from the initial decision to donate, through the transplant and beyond, as the two men and their families share an intimate perspective of their very personal experience. “Giving Life” – focuses on the story of Hollie Stanyon Fouts, who became an organ donor as a result of a fatal auto accident just one year after her sister was killed in an auto accident, and their parents’ journey through grief and giving. “The Wait” – a student documentary chronicling the lives of four young people who are waiting for, or who have received, a transplant. The film shows the graphic realities of life on the waiting list. “Prometheus Bound: The Epidemic of Hepatitis C” – the real-life stories of people with Hepatitis C and the effects on the human body. Donate Life Illinois is the coalition of agencies responsible for organ, tissue, eye and blood donation, as well as donor registration and education in Illinois. It is one of 45 regional coalitions and 50 national businesses or associations making up Donate Life America, a not-for-profit alliance that serves as a national voice and inspires all people to save and enhance lives through organ, eye and tissue donation. For more information: www.DonateLifeIllinois.org. Donate Life Hollywood is part of the national Donate Life movement harnessing the efforts of the organ and tissue donation and transplant community including transplant centers, organ procurement organizations, tissue and eye banks, and transplant groups. Donate Life Hollywood serves as a liaison between the organ and tissue donation community and the entertainment industry with the mission of seeing more accurate and inspiring organ donation storylines on television and in film. For more information: www.DonateLifeHollywood.org. I heart organ donors too!!! I don’t know if Melissa was right, yesterday, about Steve having LOTS to say… I think she spoke quite beautifully about the little project we were both involved in… And isn’t it nice to see a face and voice that goes with her picture in the left margin? She’s right – it is an honor to be a part of a little project like this… I think we’re both proud of the result – and proud of the people involved. Scott has helped produce several very cool videos – I was in one, and many of the people here starred in Donate Life Illinois videos of their own! And, it’s the people in this video that add so much meaning. They look like everyday people, don’t they?!?! They are – but there is also something special about each of them that you wouldn’t know by looking at them. Scott, over at I am. Are you? posted about it yesterday, and if you’re interested, he has links to the people who played parts in this little video.